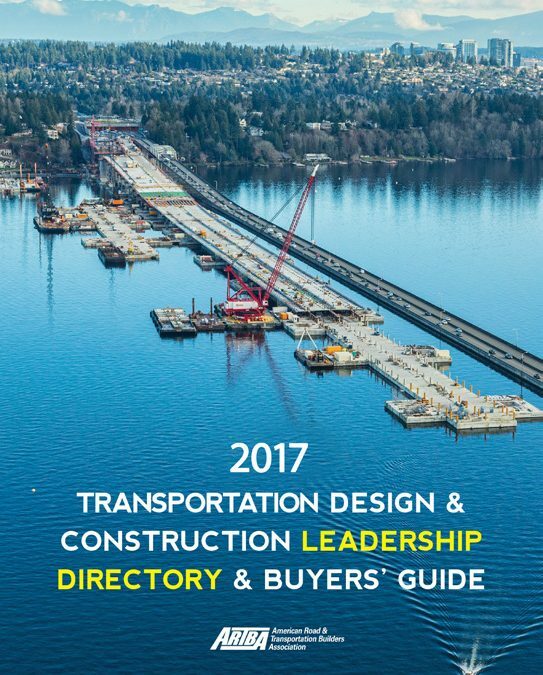 ARTBA’s 2018 Leadership Directory & Buyers’ Guide offers a great opportunity to build awareness of your company’s products and services, and also to support your national association. The directory features contact information for the association’s top volunteer leaders, including officers and board members, division presidents, state chapter heads and past chairmen, plus rosters of key ARTBA committees and councils. The comprehensive Buyers’ Guide—also made available online—provides an additional outlet to share information about your firm’s products with executives who have decision making authority. The directory reaches ARTBA’s 8,000 members, who use this important resource throughout the year. See the full range of competitively-priced advertising rates and other Buyers’ Guide options, or contact me at pembrey@artba.org for more information. The deadline to reserve space is November 17.